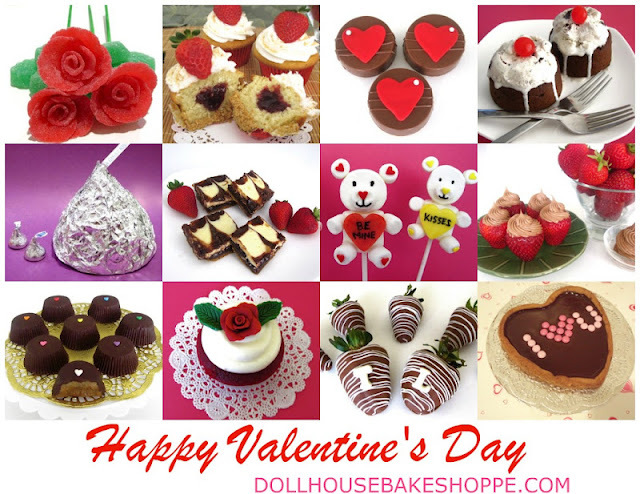 Gorgeous roses make the most beautiful and elegant cupcake toppers, cake decorations or dessert adornments and they are actually so simple to make at home using pretty much any pliable material, from store bought fondant, to tootsie rolls or candy!! There are a few different techniques for making roses. This is mine. I think it is pretty simple and hope you do too! I love making cupcake and cake toppers out of different types of candy instead of fondant, primarily because it tastes a lot better, so get creative and look for different types of pliable candy to work with, or pick up a pack of store bought colored fondant at your local craft store or online.You can really make any decoration to match the theme of the occasion, but today I am showing you a simple and classic rose because it is one of my favorite decorations to top my cupcakes, cakes and more. Flatten your fondant/tootsie roll/candy into balls about 1/8 inch thick (each ball will be an individual petal, so the more you make, the more petals your rose will have, I usually stick with 6). Form all but one into a circular petal shape, using your fingers, flattening the last one into a longer stretched out oval shape to be used for the "bud" of the rose. The thinner you make them the more realistic they will look. I like to squeeze around the edges with my thumb and forefinger to make the edges almost transparent, giving the petal an even more delicate and realistic look. Feel free to use more or less petals for your roses depending on weather you want a rosebud or a fully bloomed rose. Take the long oval shaped petal you made and coil it tightly around itself. This will form the bud of the rose. Next, wrap the petals one at a time around the rose, so each petal slightly overlaps the edge of the one before it, pressing at the base of the rose to secure. The stickiness of the candy should make it easy for the petals to stick on to each other. Continue to add petals, working your way around the rose to create the fullness you desire. Create 2 green leaves out of lime tootsie roll, candy, sprinkles, frosting or fondant. I used this same technique to create classic red roses to top my red velvet rose water cupcakes during my appearance on the season 2 Cupcake Wars Champions episode! 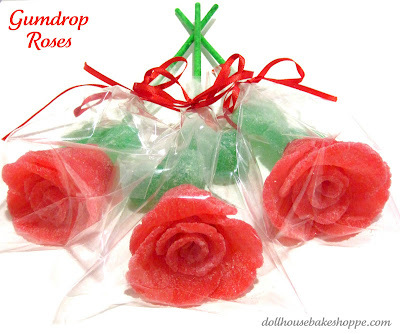 I also used this technique for my gumdrop candy rose pops. Or how about as beautiful fondant cake toppers?! This is a super simple alternative to the classic rose. 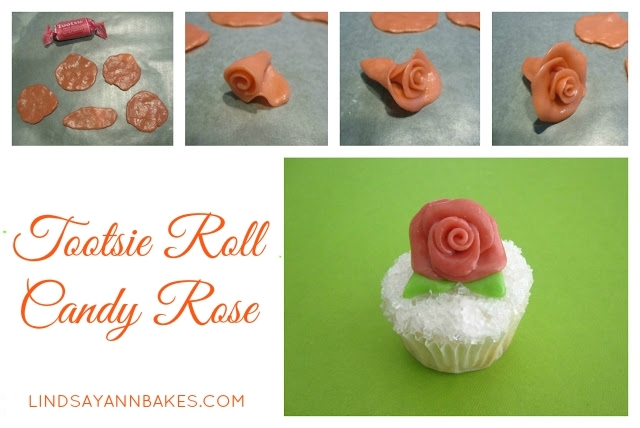 Simply, flatten out a long thin "snake" of fondant/tootsie roll/candy and roll it up to create a little rose bud. These little fondant ribbon roses were used on my rice cereal doll cake! For these mini white chocolate wedding cakes, I use green heart sprinkles as the leaves! Here is an example of both the classic roses and ribbon roses used together on cupcakes! Here is another example of the classic roses and ribbon roses used together on a mini cake and chocolate covered Oreos! Get creative and mold your candy into fun cupcake toppers to fit any occasion!